What is locum tenens? As a service model, the practice’s earliest iterations have a history long and storied enough to match some of our nation’s oldest healthcare institutions. In the mid-19th century, doctors roved the prairies, bringing their much-needed services from town to town. From there, travelling physicians and nurses became a fixture in the American healthcare scene. In the centuries that followed, for example, travel-ready professionals provided critical services like X-rays to wounded World War I soldiers, made long, dangerous treks to bring healthcare to underserved remote communities, and tended to the sick among Native American tribes. In the 1970s, the modern locum tenens model began to take shape. And though the idea of doctors setting up temporary practices in small communities has largely fallen by the wayside, today’s travelling caregivers still make a mark across the country through these services: when organizations find themselves needing short-term medical staffing, a locum service is often the first call they make. If you’re searching for terms like “what is locum tenens,” there’s a chance you’re facing a temporary staffing shortage or will face one soon. Considering today’s healthcare landscape, it’s fair to say you aren’t alone in your concern. Turnover, retirement, sabbaticals, and a worsening physician shortage are just four of the reasons organizations just like yours turn to locum tenens services to fill these gaps. In a healthcare field where overworked caregivers don’t have the time to take on a single new patient — and one where burnout, a condition directly linked to exhausting work schedules, is on the rise — locum tenens professionals are just as valuable to their clients and colleagues as they are to the patients they serve. Keeping this in mind, let’s take a comprehensive look at the locum tenens field, with a focus on how a locum agency partner can help meet your healthcare facility’s short- and long-term staffing needs. 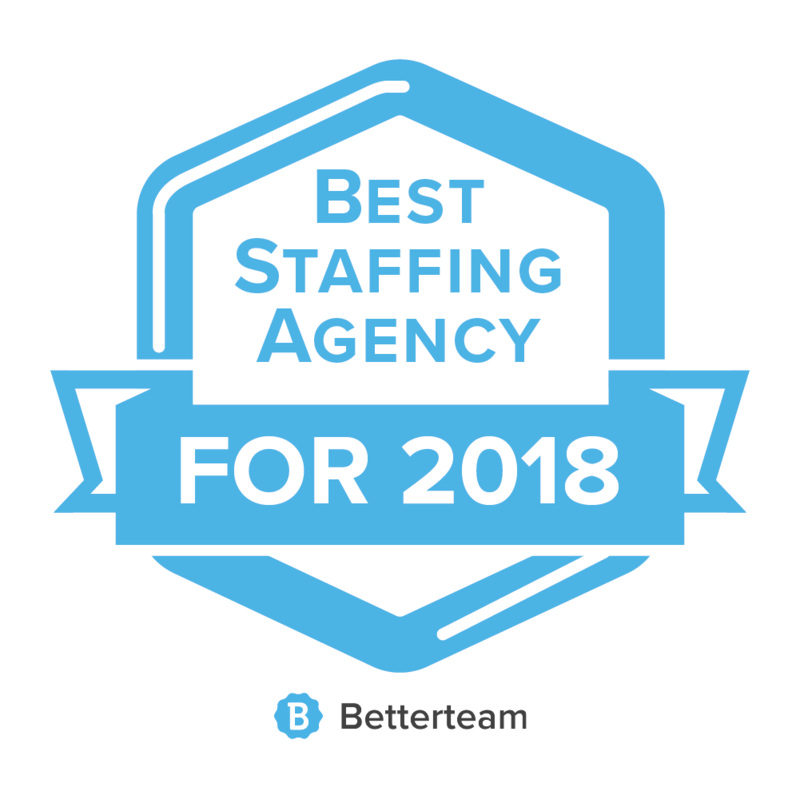 In short, it’s the long-utilized practice of sending temporary healthcare professionals — including specialists, general practitioners, and nonphysician medical personnel such as physician assistants and nurse practitioners, among others — to healthcare facilities and others in need of temporary medical staffing. Generally, this service is provided to clients via a central agency, which uses a large talent pool to ensure it can provide the requested skills and specializations in an appropriate time frame. And that’s just the elevator pitch. Practically speaking, locum professionals fill a large variety of roles — both traditional and nontraditional. The number of physicians, PAs, NPs, and other locums ranges in the estimated tens of thousands, a testament to the practice’s growing popularity among highly skilled health personnel. For the nurse practitioner who wants to travel the country or the physician who wishes to test the waters in different healthcare markets, locum tenens work represents an attractive opportunity to provide care in a multitude of settings and formats. However, caregivers aren’t the only ones to realize significant benefits from a locum arrangement. 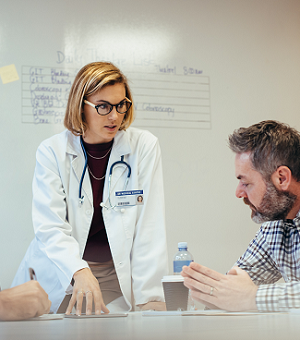 In healthcare, even ample warning and preparation time aren’t always enough to solve short-term staffing woes, and that’s before considering illness, unexpected turnover, and other issues that may rob the facility of its ability to approach the problem in advance. It’s much the same story in nonhealthcare industries, where budgetary restraints, a lack of immediately available local talent, and certification concerns may prevent businesses from carrying out tasks that require health expertise. Throw in the above-mentioned physician shortage, which acts as a sort of “force multiplier” for other staffing problems, and you have a landscape perfectly suited to the unique strengths of locum tenens services. In healthcare, the value of a locum service is immediately apparent. Maybe that nasty stomach bug knocks your GP off the roster for a week, or your leading dermatologist decides it’s time to embark on the research sabbatical they’ve always dreamed of. In these cases, having immediate access to a huge pool of gap-bridging talent — and being able to onboard that talent far faster than you could put out feelers, do interviews, and credential your final choice on your own — is an obvious benefit. As mentioned above, traditional healthcare (e.g., hospitals and private practices) isn’t the only place where locums can provide considerable value. Locum tenens services also offer a larger pool of talent and speedier aid to nontraditional industries that need medical expertise than an individual company attempting to hire its own temporary help ever could. The legal industry provides an excellent example of this idea in practice. Personal injury plays a role in a “vast proportion” of civil cases raised in the U.S., making a trained, licensed medical professional’s word a powerful ally for legal teams and their clients. 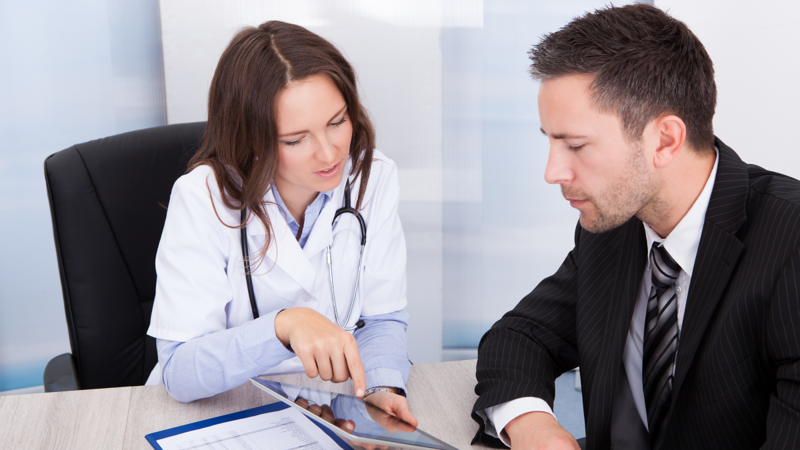 Healthcare expertise is highly valuable in numerous criminal situations, as well. 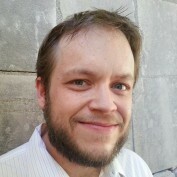 For example, an expert may be brought in to dispute the state’s forensic findings, or to contrast their professional experience against the facts of a case. Other professions may need a medical professional on hand for a longer (but still temporary) period of time. Physicians are the “star of the show,” so to speak, in insurance-industry Medicare and utilization reviews, and are similarly important in the life insurance industry’s risk assessments. Locums may also assume a standard role for companies offering on-site clinic services to employees or clients. Full-time clinic doctors get sick, change jobs, and take vacations and LOAs just like any physician does, after all. Moreover, these are just two of many examples in which caregivers are needed outside the traditional healthcare sphere. 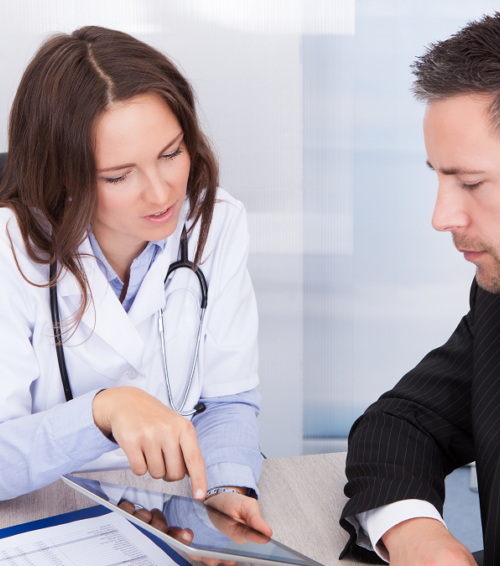 You’ll also find temporary medical professionals in scientific settings (e.g., clinical research) and industries where very specific subsets of care are carried out, such as organizations that offer independent medical exams (IMEs) for individual and B2B clients and companies that perform in-home health and well-being assessments. In these situations and countless others, medical staffing services can and do provide a valuable service: one that offers quick medical expertise in times where staffing is short or workloads are larger than anticipated. Now that we’ve covered one important question about medical staffing — namely, “what is locum tenens?” — it’s time to move on to the next query most companies pose when considering a locum service: How can it save money? And, beyond the financials, what sort of value can a locum provide? 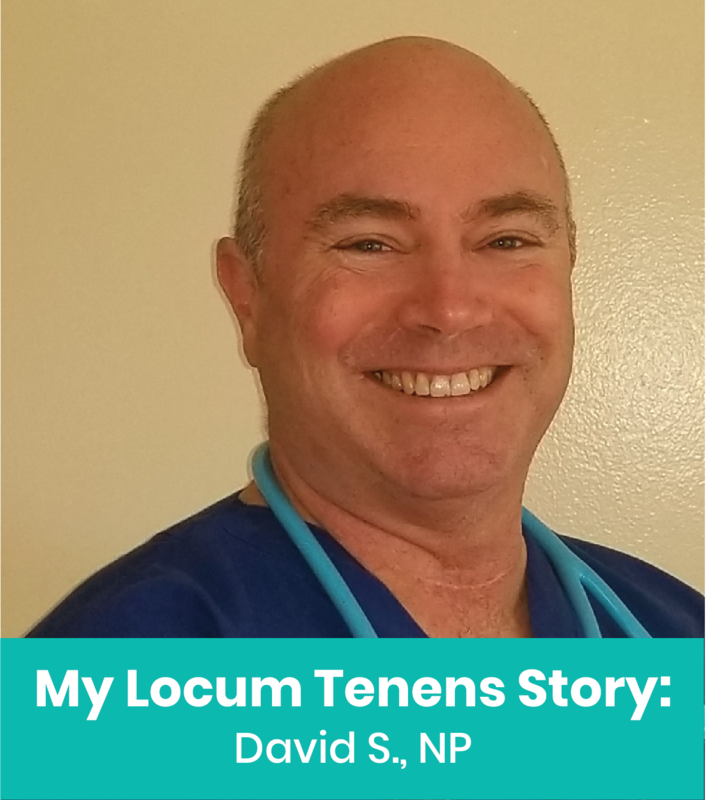 Here, some answers are straightforward, while others speak to the long-term benefits of a locum arrangement. First, and perhaps most important, is the fact that medical hiring can be an expensive, time-consuming process, and that’s when the company in question searches for a full-time hire. Throwing the same resources at a search for temporary help is often financially inefficient at best. With the dearth of “freelance” temporary medical professionals, a healthcare organization may spend more time searching for someone to fill a temporary vacancy than they do actually employing them, provided they find someone to help at all. Then there are the expenses and complexities that come once an organization has found a worthwhile temporary fit. If you’ve ever been personally involved in bringing employees on, you know the process of vetting, certifying, credentialing, and privileging new blood can be a frustrating affair. As above, carrying out these steps for someone who will be with you for a finite amount of time is even less efficient. These facts alone explain why so many organizations have bypassed carrying out their own short-term staffing searches in favor of partnering with locum tenens services. Because medical staffing companies specialize in just that, they have the resources and personnel needed to smooth out the time-consuming aspects of hiring. Instead of taking out job ads and hoping for the best, an account manager can tick the boxes you require and bring a number of suitable matches right back from the database. By the same token, worthwhile locum services employ dedicated certification staffers, or people who take on the rigors of credentialing for you. Since the average locum tenens organization makes money by providing ready-to-go staff with a minimum of “effort overhead” on your part, it’s likely you’ll only need to review possible candidates, interview the ones you like best, and welcome your final choice(s) as they walk through the door a short time later — all while the locum agency expertly collaborates with your in-house credentialing team. At high level, these benefits result in time and money saved, with less staff hours spent on the administrative aspects of hiring. Locum hiring can also reduce the abstract and “secondary” financial risks of understaffing, of which there are several. As mentioned above, overwork frequently leads to burnout, a problem that can impose a significant number of financial liabilities upon the hiring organization, affecting productivity, turnover, and medical errors that lead to malpractice suits or settlements. When nearly half of all physicians draw a clear line between overwork and burnout — and when more than half reported symptoms of the same phenomenon, according to curated research from the same source — it’s easy to see how even a short-term lack of staff may exacerbate a problem that already feels unbearable. On the inverse, bringing on temporary help through a locum service can help the facility maintain the status quo in a happy workplace or improve quality in terms of workload and job satisfaction in facilities afflicted by burned-out employees. Taking things a step further, burned-out employees have been linked to complications that may affect the organization’s 30-day readmission rate. The lengths to which facilities go in the name of avoiding this costly metric highlight yet another locum advantage for facilities that would otherwise be overworking their permanent staff. Burnout-related factors and the resultant undesirable outcomes aren’t the only ways being short-staffed can hit a healthcare facility in the pocketbook, either. The lost opportunity to serve more patients during a staffing shortage, while hard to measure in specific terms, is another pitfall that can prove quite costly in the long term. When your staffing levels are unusually short or patient demand is unusually high, every new patient you’re forced to turn away is a potential ongoing relationship lost — along with all the revenue it would bring. Perhaps unsurprisingly, numerous other negative consequences of understaffing hit facilities and their providers via their effects on patients. Because of this, locum tenens services offer a direct route to elevated patient satisfaction and better patient care, two quality metrics providers have effectively chased since the inception of organized healthcare service. Indeed, “elevated patient satisfaction” may be one of the most pressing concerns any modern healthcare organization faces. Enter the continued consumerization of healthcare, a driving force behind the unprecedented success of walk-in clinics and other convenience-focused health services. Because some patients are more likely to shop a la carte for healthcare services than ever before — and because they place loftier expectations on certain aspects of their experience than they may have in the past — organizations suited to handle formerly “secondary” concerns such as convenience are those best equipped to reap a number of financial and reputational benefits. Locum tenens services can help organizations put a consumer-friendly face forward from the earliest steps of the relationship. Besides the inability to take on the usual patient load (or even an expanded one) during instances of short staffing, temporary gaps in physician availability often mean patients suffer longer waits for appointments when they call in and spend more time in the waiting room once they do arrive. By bringing on temporary help to dilute the patient load, organizations can reduce a factor that has been proven to affect satisfaction and perception-of-care scores. The longer a patient must wait to be seen, the less like they are to be satisfied with their care, making locums a credible tool against both service- and health-related concerns. Meanwhile, in hospitals, clinics, and other areas where multiple patients with pressing issues may be seen at one time, locum professionals can help shorten rotations and reduce wait times: benefits that play to the points listed above. Locum help can also be a boon during anticipated changes in patient volume. In some markets, seasonal changes bring an inexplicable, but empirical change in the number of visiting patients. As above, a locum tenens service can ensure facilities have precisely the number of practitioners they need during these spikes in demand, keeping wait times at an acceptable level in and out of the waiting room. Bilingual Care: The language barrier can be especially challenging in a venue as life-affecting as healthcare. In some cases, locum services can provide doctors that meet a community’s language needs, further easing the challenges of finding short-term help. If finding a temporary physician or NP is hard enough on its own, finding one who also happens to speak Spanish (or another language) is even more challenging. New Facilities and Expanded Hours: If offering patients increased availability has added too much to your staff’s workload, a locum can be a lifesaver as you search for additional full-time employees. Locums can also help you scale your facilities or extend your hours of these tasks are on your business to-do list. Expanded Care Models: Barton Associates is among a select number of locum tenens services offering telehealth services to clients. For organizations in need of new ways to reach patients — or ones looking to increase patient volume in a novel, consumer-forward way — telemedicine represents a best-case scenario for everyone in the healthcare chain by offering a low-risk revenue stream for providers and another way to receive care for patients. Of course, understanding the benefits of a locum service is only one part of knowing what locum tenens is. To truly get a feel for the practice’s benefits, you must understand the process that goes on when a facility enters into partnership with a vendor. Here, you may be surprised to learn the experience is relatively low-effort and low-hassle on the client’s part. Because locum agencies are built around providing speedy, thorough service to the healthcare organizations they service — for instance, Barton Associates can often have a caregiver to an organization within 24 hours, if needed — the process is largely streamlined and hands-off, with the agency doing much of the legwork. This alone can be a significant benefit to facilities who don’t necessarily have time to manage the intricacies of hiring while dealing with day-to-day operations. Here, the process is straightforward. You’re connected to an account manager, who guides you through a number of questions to determine your specific requirements: the type of provider(s) needed, how long you’ll need them, and your desired budget parameters, for instance. Once your needs are identified, a recruiting team uses your parameters to find ideal candidates. This search can include a broad range of professionals, including physicians, nurse practitioners (NPs), physician assistants (PAs), certified registered nurse anesthetists (CRNAs), and even dentists, depending on what you’re looking for. As with all professionals in the service’s database, your list of potential hires will all come prescreened and highly skilled. CVs and other pertinent information will then be submitted for your perusal. Your provider will coordinate interviews between you and your semifinal choices. Because locum professionals hail from all over the country, these interviews are usually held over the phone. As with interviews for full-time hires, this short call is meant to inform your decision and help you get to know your candidates. As any hirer knows, the best fit on paper may not be the best fit in person. Now that you’ve made the decision, let your account manager know the professional(s) you wish to work with. They’ll handle the rest. One of the most important steps in the locum process is also one of the biggest timesavers for clients, compared to handling short-term hires on your own. With interviewing and selection out of the way, specialists begin the process of verifying and credentialing your final candidate(s). This further ensures your locum professional(s) are adequately skilled and educated for the tasks you require. One of the biggest benefits of a locum relationship is the simplicity of payment. Unlike with direct hires, you won’t need to worry about overhead figures such as benefits, malpractice insurance, or retirement plans when you work with Barton Associates. Instead, you’ll only pay a previously agreed-upon, hourly rate throughout the time your locum(s) are on staff, leaving no room for surprise fees or other “sticker shock” factors. There are many reasons an otherwise efficient healthcare facility may face staffing shortages (or any need for extra staff). The physician shortage already affects countless organizations and will only grow as the gulf in talent does. To illustrate, some experts predict our nation will be short 40,800 to 104,900 doctors by 2030. This gap in coverage may make it harder to find temporary help in situations all healthcare facilities face: illness, vacations, long-term leaves, and other common away-from-work scenarios. Because of this — and because organizations will face shortage events, whether the nationwide shortage touches their region or not — locum tenens remains a perfect way to find short-term help without throwing full-time dollars and effort at the search. This is true in industries such as legal, insurance, and clinical research, where physicians and other trained healthcare professionals provide valuable insight to core services and backend processes, and doubly so in healthcare, where even a relatively short low-staff period can affect patient care, employee satisfaction, and revenue. Thus, the answer to the question driving this guide — “what is locum tenens?” — is quite simple: An invaluable service for organizations in need of temporary staffing help. If you find yourself staring down more workload than your current staff levels can handle, maybe it’s time to give outside help a try. Do you have questions about anything related to hiring locum tenens professionals? We’re here to help!